The Juba Weaver was formally described by Tommaso Salvadori, an Italian zoologist and ornithologist who published at least 300 ornithological papers. The Juba Weaver was collected by Prince Eugenio Ruspoli, an Italian aristocrat (descendent of the famous noble family in Rome) and naturalist. 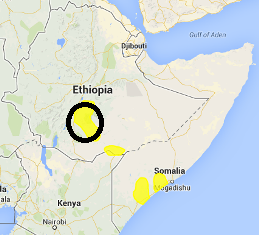 Ruspoli explored the region between Ethiopia and Somalia during two visits, the first being in 1891. During his second expedition to north-east Africa (1892-1893) he explored the regions around Lake Rudolf. Ruspoli collected only 35 specimens of 32 species (Salvadori 1896). On 4 December 1893 he was killed by an elephant while hunting around Lake Bissan Abbaia (Abaya), north-east of Lake Stefania. The specimens Ruspoli had collected, including birds, insects, reptiles and mammals, were sent to the Museum of Genoa in Italy, but the specimens were in bad condition and without proper labels. 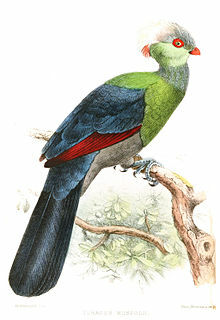 Salvadori recognised 3 new species: Juba Weaver, Salvadori's Serin Serinus xantholaema, and Ruspoli's Turaco Turacus ruspolii. Although the type locality is often given as Somalia, these species would have been collected in present day Ethiopia. 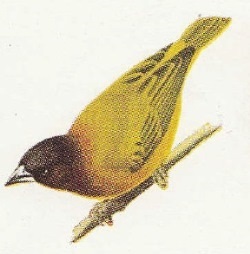 The first illustration of the Juba Weaver was of an adult male, published several decades after first description, by Mackworth (1955). The next illustrations were printed in field guides from 1995 onwards. Hyphantornis dichrocephalus	Salvadori 1896a,	Ann. Mus. Genova 16(2), p.45,	Italian Somaliland and Gallaland. dicrocephalus, Greek: Dikhrous, two-coloured; -kephalos, headed. Chestnut-headed Golden Weaver (Shelley 1905b). Chestnut-headed Golden Weaver, Jubaland Weaver, Salvadori's Weaver, Somali Yellow-backed Weaver. The type is in the Museum of Genoa.